I confessed that I don’t get down and play with my kids all that often, but I do constantly facilitate and watch them play. One of the things I enjoy to do is help set up play scenes for the children. 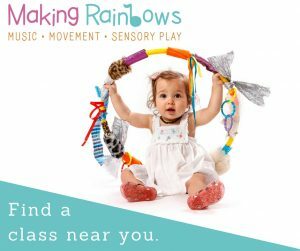 I was first inspired by this concept by Kate from Picklebums and I highly recommend this post from her: Imaginative Play at Home. 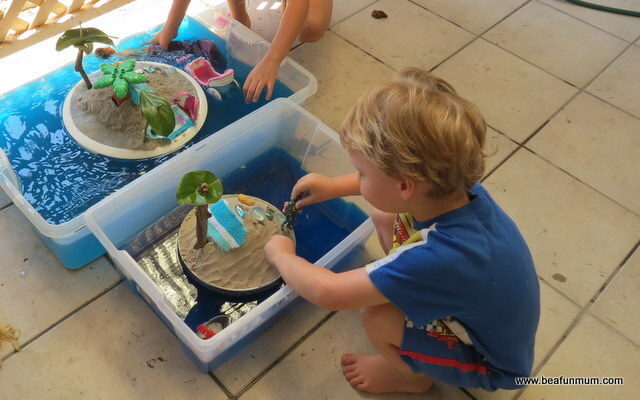 Fostering imaginative play is important to me as it’s evolving play: it starts with the building phase, then the play phase, and the play evolves with the environment. Plus, as a bonus, this sort of play lasts for days! 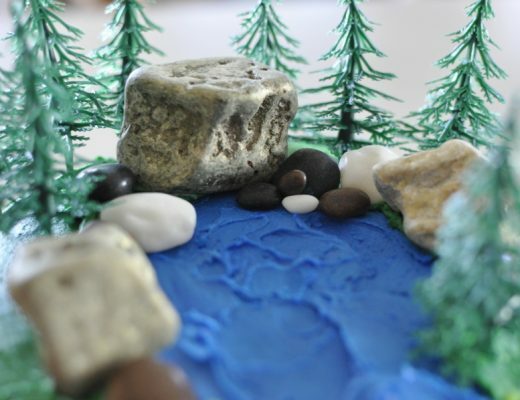 This imaginative play scene is island inspired and below is how I put it together. 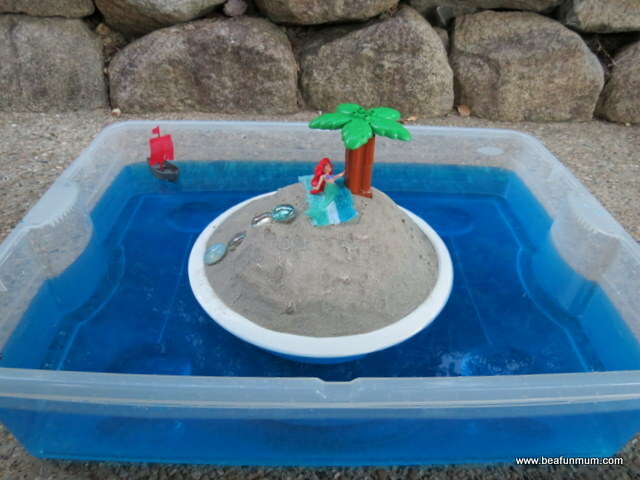 A Desert Island play theme is a fun idea for the summer months. It was easy and inexpensive to set up. 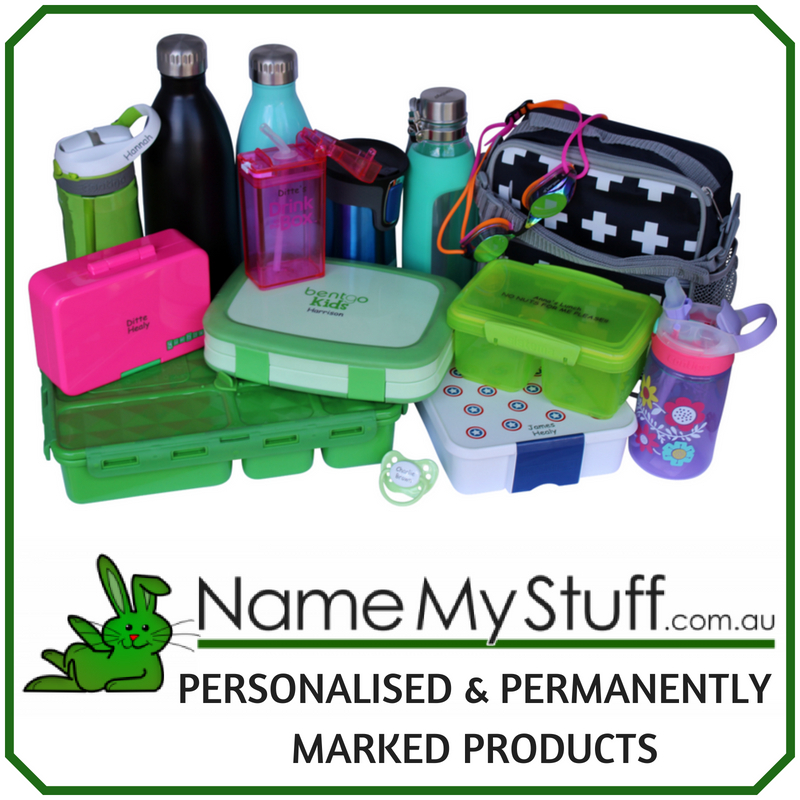 It can be used outside on the grass, under a patio/veranda or even inside (if you’re game) on a large towel. Most of the materials we found around the house, however, because I want a large box dedicated for imaginative play scenes, I purchased a few of these items. 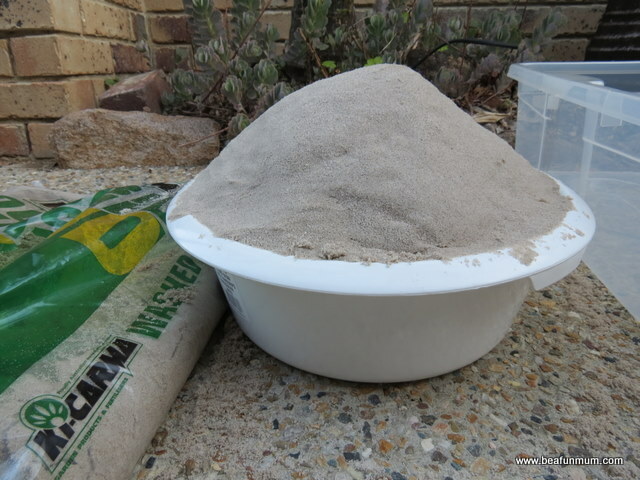 The sand, the under bed box and laundry bowl came to a total of $30. 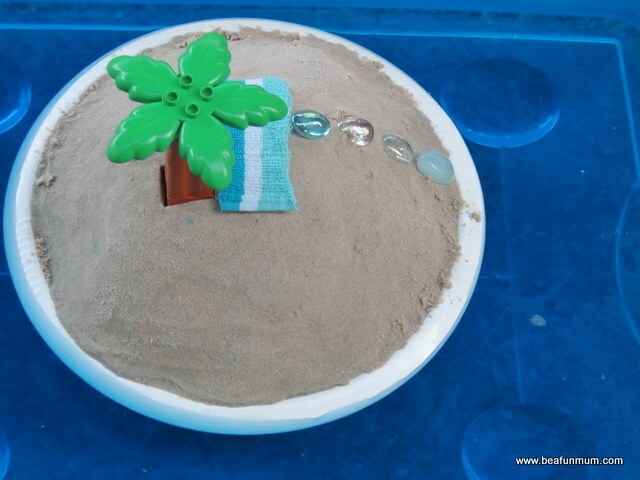 Fill the round laundry bowl with sand and smooth to create the Island. Place the Island into the underbed storage box and fill the box with water to the level of the laundry bowl. Add a little blue food colouring if desired. I cut up a cheap tea towel for a beach towel and used pebbles for a path. We used a Duplo palm tree to create the island look; or a large leaf on a stick does the trick. Here are some ideas: Barbie, mermaids, fish, sharks, boats. 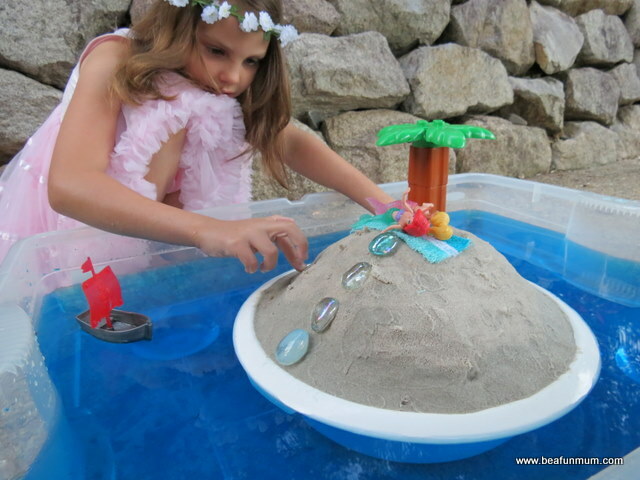 This sort of water play is perfect for the summer months! The best part of this sort of play is it evolves and grows as the kids use their imagination. Last time I checked, this is what their play looked like. I helped create the basics and the kids did the rest, including the leaf trees. I like this idea Kelly, I’m pretty sure I may be able to re-create it without purchasing anything new (which appeals to me greatly). Your photo is perfect, I’m so impressed. Thanks Christie. Yes, most things are easy to find which is fantastic! I can’t wait to make another scene! Kids have been playing with it for days! I love this type of play too. 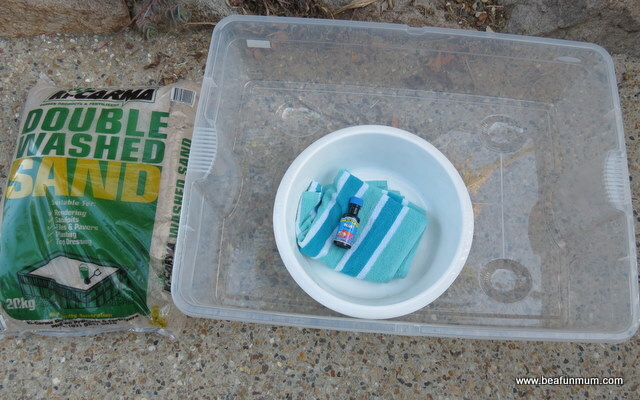 The other day I filled up a tub, complete with blue water, and the girls took their dollies for a swim. 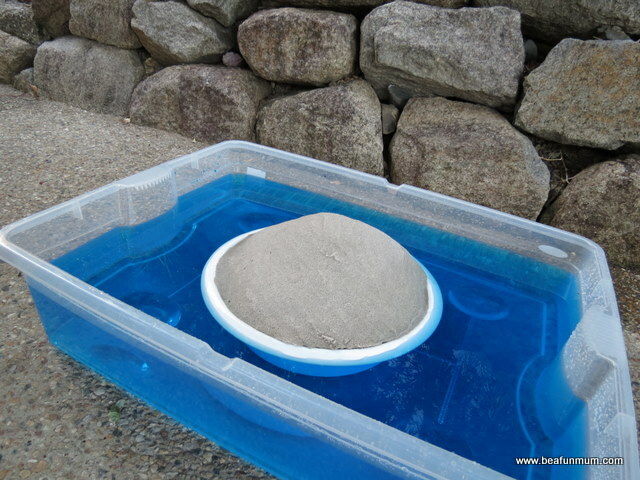 I have been trying to think of other types of water play, as it’s been so hot here lately. This is a great idea! Thanks Kell. Nawww, that’s gorgeous Nic. It’s been SOOO hot. I’m having a little giggle at myself, Kelly. I clicked over after seeing the title in my blogroll, which I thought read “mum imaginative play scene: desert island”. Not sure what I was expecting!! LOL! BAHA! Well now, I do think it would be a very good thing to make a life-sized version for myself! Love that so much thought and effort goes in to your Canon submission. Great photo and have just voted for you. Good luck! 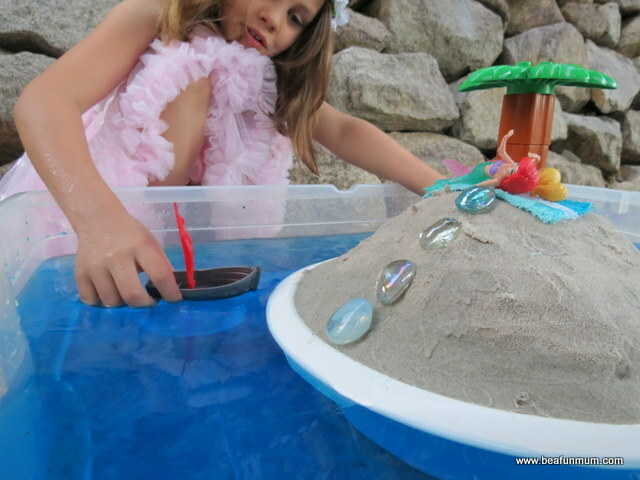 This is such a fun way to explore water and pretend! Love it! 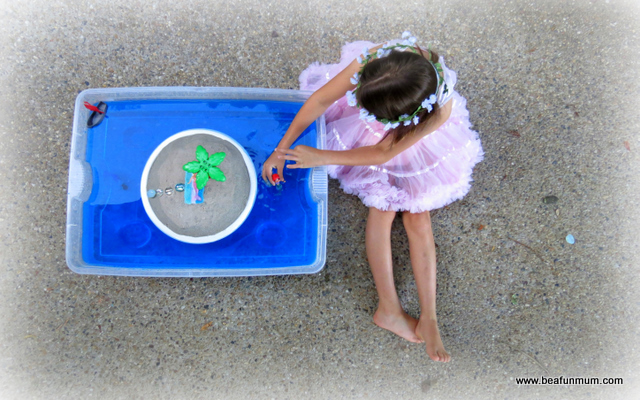 I would love for you to link this up to my Outside Play: Water link up! Sure. Will pop over now. What a brilliant idea thanks for sharing this! 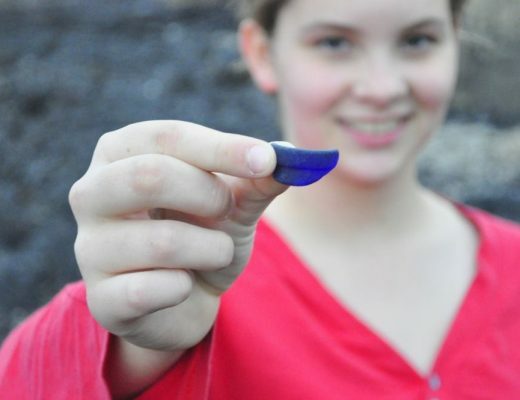 My water loving daughter would love to do this!